Got a great idea for a Project Ara module and the skills to make it a reality? Then now's your chance, because Google will soon be handing out the hardware to developers. It's offloading a limited number of developer boards and this isn't just a first-come, first-served system, no, you need to make an application and requests will be prioritised based on technical experience and the strength of your module concept. So while technically anyone can apply only genuine developers with thought through ideas are likely to get one. You'd also better get in quick, as the first application period ends on July 17, though a second runs from July 18 to August 17. 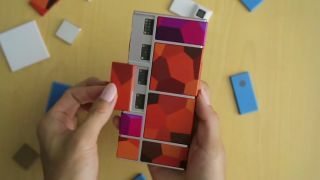 Project Ara, if you've not been keeping up, is a modular smartphone, where individual modules can be swapped out to create a custom handset. For example maybe you want a module with a heart rate monitor, or maybe you'd rather have one with an extra battery. Similarly when you're ready to upgrade, rather than buying a new phone you could just upgrade any modules that you consider to be outdated. So what Google's looking for is developers to build new modules. We just hope someone steps up and makes our dreams of a popcorn maker module a reality. Project Ara is hitting stores early next year.